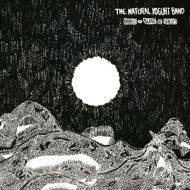 After two albums on Jazzman and Stones Throw subsidiary Now-Again Records, and two EPs since their arrival on Black Milky-way Music, The Natural Yogurt Band strikes again but this time with a third full-length album. Those classy, groovy melodies coming out of Miles Newbold's mind ride along with both Neil Tolliday's drumsticks. Halfway between their studio in UK and a distant galaxy, sounds from Braille, Slate & Stylus are echoing, resonating, creating a highly psychedelic soundscape. This album slowly fades from funky tunes, African-oriented grooves and smooth library music to a more absurd, free and contemporary vision of jazz. The last four tracks consist of drum breaks that set a sudden ending point to this long yet too short journey in outer-space.